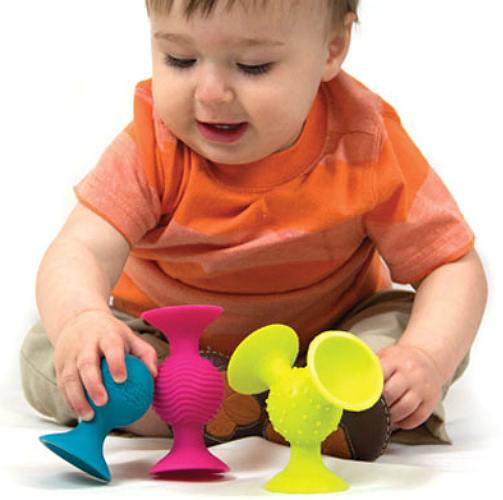 Playful colors, fun sounds and textures make this set of 3 little suckers the perfect baby toy. PipSquigz stick on any smooth surface - stroller, high chairs, and in the bath. Compact and sized to take anywhere. 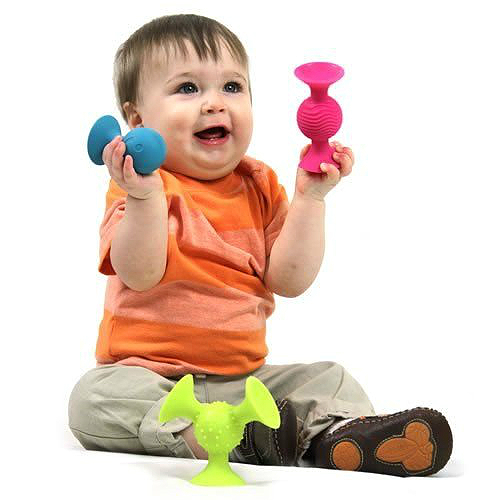 Provides baby with auditory, visual and kinesthetic learning. 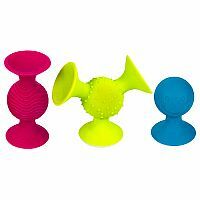 PipSquigz are easy to clean and diswasher safe. 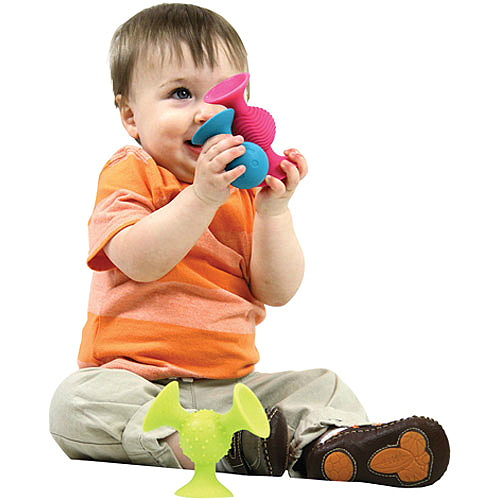 The perfect toy for teething babies. Ages 6 months to 18 months. Measures approximately: 10.00 x 9.00 x 2.00 inches..